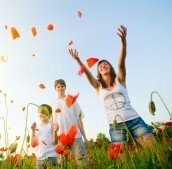 Have you lost the joy and fun of living life? We would like to help you live the life you have always wanted. 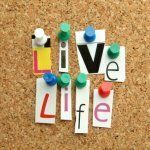 Living Life has offices in Ann Arbor, Brighton, and Livonia, Michigan and been providing caring, Christian counseling for over 30 years. Call us at 810-923-5760 to help you take the next step in living life. Living Life was founded on the desire to help people live the life they truly desire. We often see the journey leading to a fulfilled life is met with daunting challenges needing to be conquered. Our counselors will support your journey towards growth and healing, helping you understand the deepest issues holding you back from truly living life. Do you need a new, fresh start? 1. Have you been trying to change or heal by yourself, but without success? 2. Would the most important people in your life benefit from you receiving counseling? 3. Do you feel if you received help you and your family could live a more fulfilling life? If you answered Yes to any of these questions, it may be time to consider getting help. Our Staff can help you overcome struggles robbing you from living a fulfilling life. Call us at 810-923-5760 so we can help you to live the life you have always wanted. Our counselors have the privilege of seeing clients triumph over unbearable challenges and find peace again in their lives. We can help you understand the roots of the struggles and pain keeping you from living life with joy. Whether you are dealing with challenges such as a troubled marriage, divorce, depression, anxiety, anger, or addictive behaviors, we can help you begin a fresh approach to taking on your life’s journey.